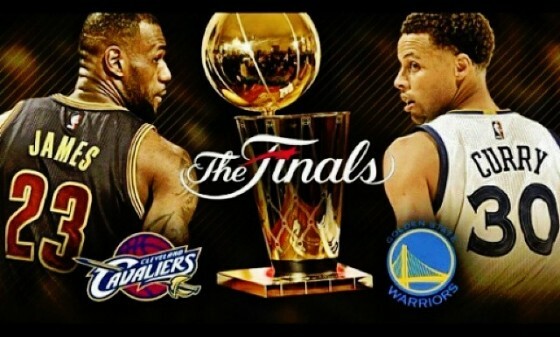 The matchup for the 2015 NBA finals is set, and it’s not surprising given the talent on both teams. Steph Curry and the Golden State Warriors handled the Houston Rockets to move on to their first NBA finals since 1975. The Warriors finals berth comes a day after the Cleveland Cavaliers swept the Atlanta Hawks. Both the Cavaliers and Warriors share several similarities. Each team has a long history of losing: Cavaliers have never won a NBA championship while the Warriors won three but two were while they were still the Philadelphia Warriors. The Warriors have more of a storied history than the Cavaliers with such greats as Rick Barry and Chris Mullins. The most recent generation of basketball fans, knows the Warriors for the Baron Davis lead squad that upset the top-seeded Dallas Mavericks in the 2007 NBA playoffs.